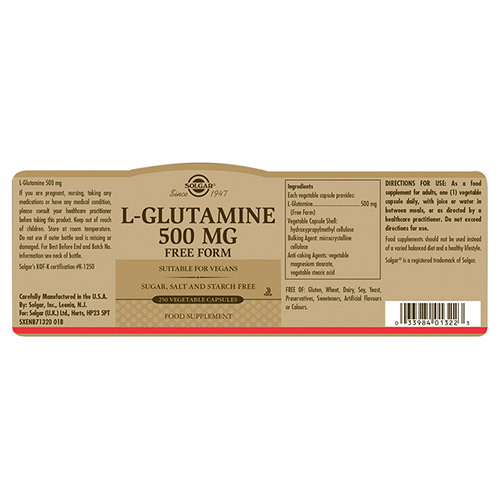 L-Glutamine is the most common of the amino acids and is found in large amounts in your muscles. In fact, approximately 60% of the total amount of amino acid in the muscle is glutamine. It is classified as a non-essential amino acid (e.g. it can be made in the body), but, as it provides fuel to your muscles, in certain situations the demand for glutamine increases and our body is not able to produce sufficient amounts. For example, during intense exercise, glutamine stores are depleted because the body is placed under stress and muscles and tendons require more of this amino acid. In this case, to minimize breakdown of muscle, glutamine needs to be obtained from the diet or through supplementation. Natural sources of glutamine are grass-fed beef, wild caught fish, cottage cheese, asparagus and broccoli. Even if you make sure that you include glutamine rich foods in your diet, or even by topping up your glutamine levels from using whey powder, it can still be beneficial to take a supplement. 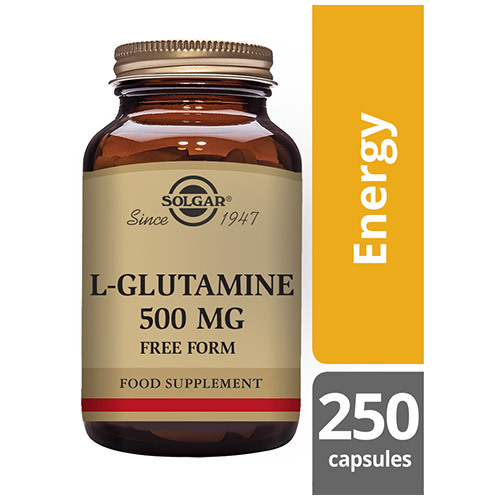 The low dose of Solgar® 500mg L-Glutamine can make sure that your levels will be restored. Solgar® 500mg L-Glutamine Vegetable Capsules are kosher and suitable for vegan and vegetarian. The one-a-day dosage provides the body with 500mg L-Glutamine. 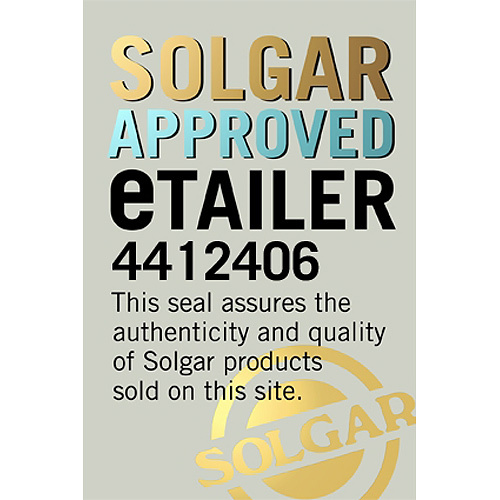 Also contains: Vegetable Capsule Shell (hydroxyproplmethyl cellulose), Bulking Agent: microcrystalline cellulose, Anti caking Agents: vegetable magnesium stearate, vegetable stearic acid. 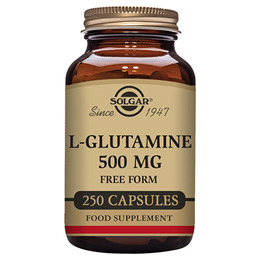 Below are reviews of Solgar L-Glutamine - Free Form - 250 x 500mg Vegicaps by bodykind customers. If you have tried this product we'd love to hear what you think so please leave a review.